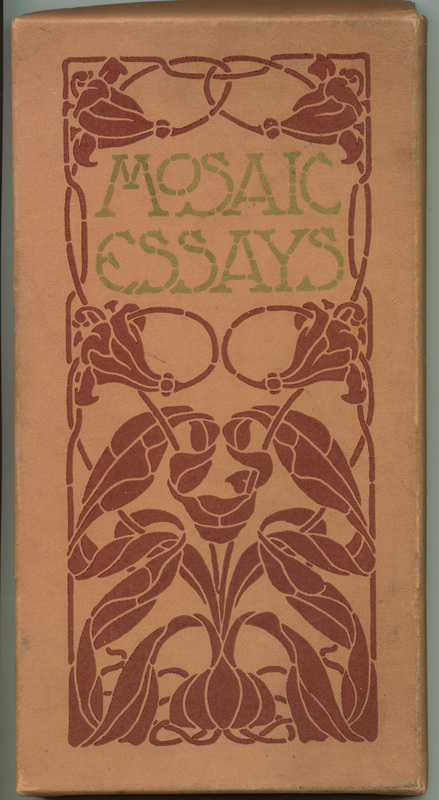 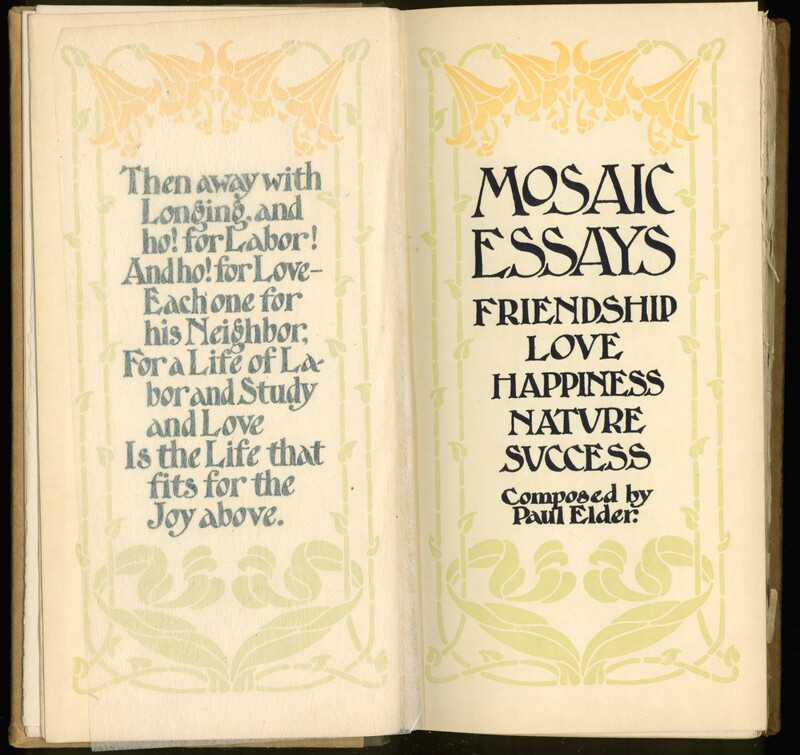 Beginning in 1901, Paul Elder compiled and published a series of booklets of aphorisms, each with a separate theme. 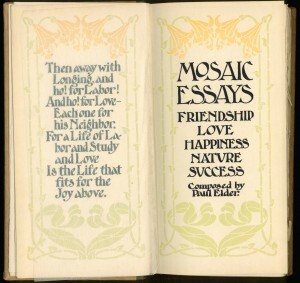 Friendship was published first, followed by Happiness, Nature and Success in 1903, and finally by Love in 1905. 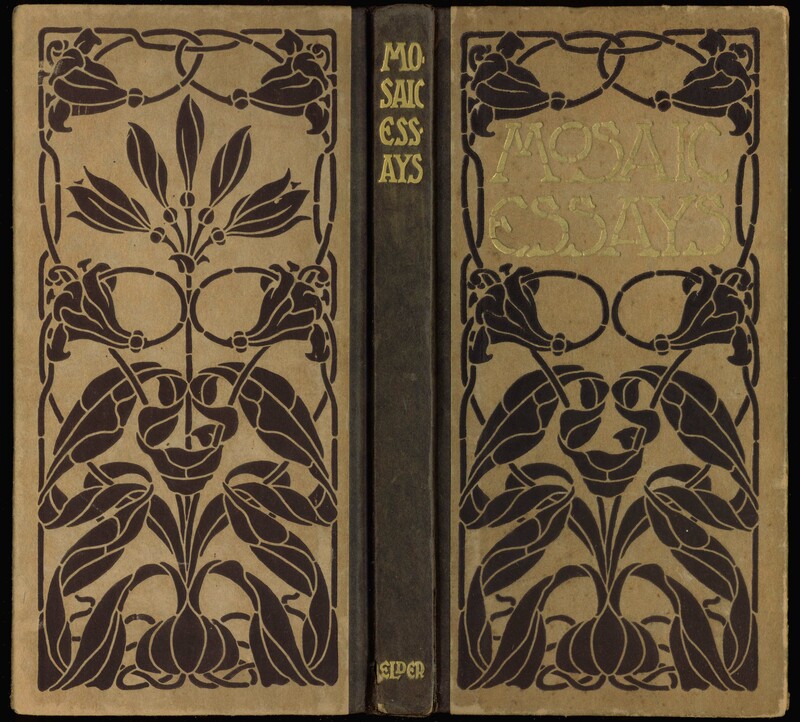 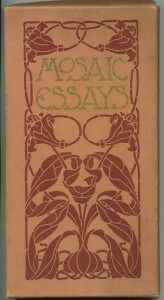 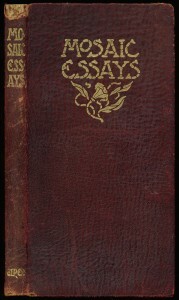 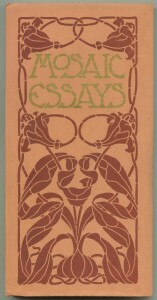 They were quite successful—over 70,000 copies were sold by 1904—so in 1906 Elder reissued the five booklets as a single volume entitled Mosaic Essays. 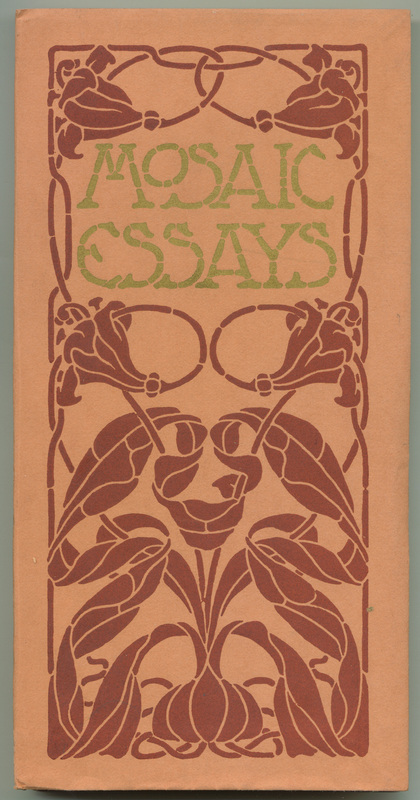 The cover and title page artwork is by Santa Barbara artist Robert Wilson Hyde. 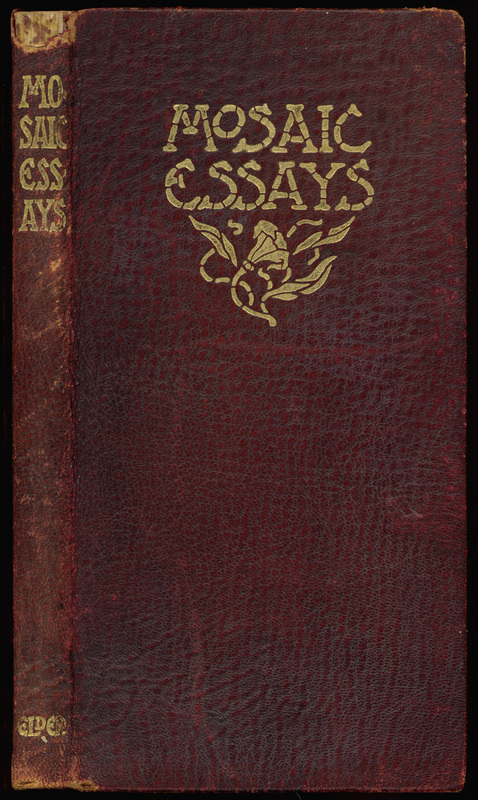 There are three known bindings: paper wraps, paper on boards, and leather wraps. 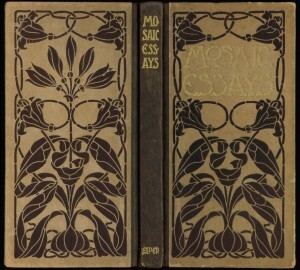 The paper wraps edition seen below was issued with a matching presentation box; such a box was probably available with the other editions as well.